A lively show focusing on the good that life has to offer while going through the joys and challenges of parenthood, married life, culture, friendship and faith. 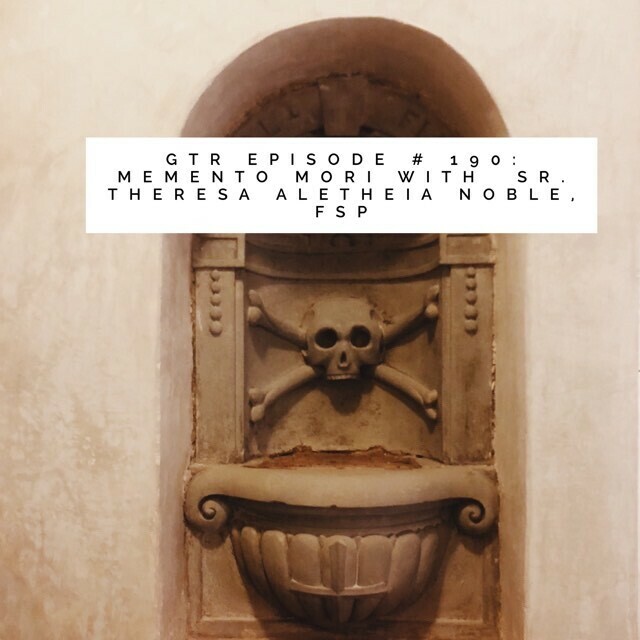 On this episode: Back from Italy. Sharing insights from a special pilgrimage to Rome, Assisi, Florence, Venice and more. Looking for great new music? Brooke shares the backstory behind Resurrection Letters Vol. 1 by Andrew Peterson. Parenting moody teenagers, and much more! Become a GTR "Good Friend" of the show! Click here to become a Podbean Patron. Thank you for your support! Click here to order Choose Joy: A 52 Week Devotional Journey. In this episode: Looking at a new Barna survey. We examine the findings of a new study that says teens are "The Least Christian Generation in American History." Fr. Nathan Cromly weighs in with some positive words of encouragement and proactive inspiration. Tissue alert for a special reading "Build Me a Son, O Lord," a prayer written by General Douglas MacArthur. Preparing for Lent, an exciting announcement, and much more! Order Choose Joy: A 52-Week Devotional Journey, here. Join us on a special pilgrimage to Italy! This April 15-25, 2018. Click here for more information. Become a GTR "Good Friend" of the Show! Click here to become a Podbean Patron. Find out more about Fr. Nathan Cromly, CSJ, and Eagle Eye Ministires, here. 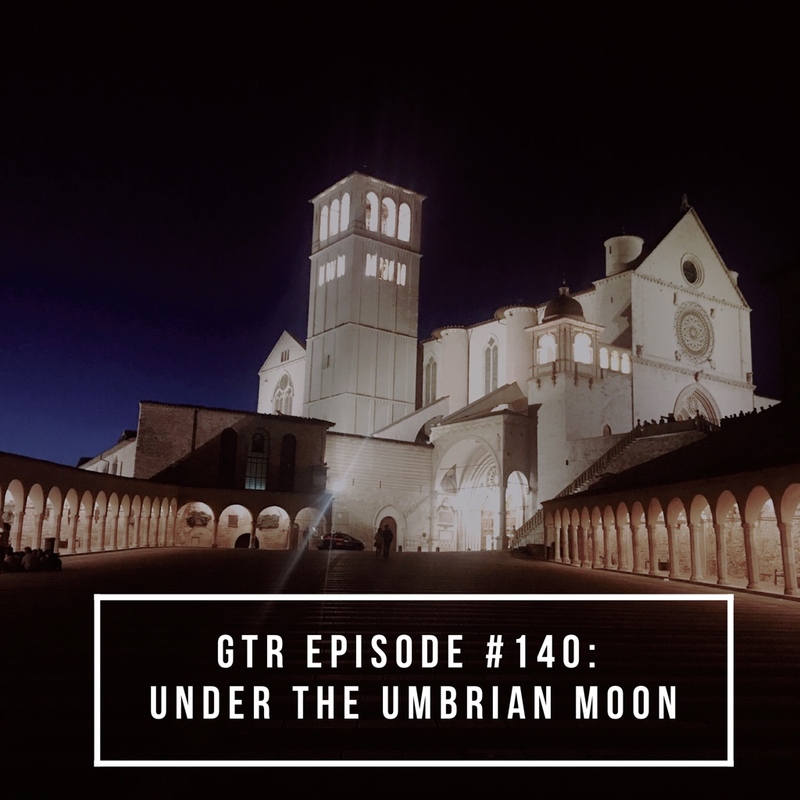 In this episode: On location at Sancta Clara Monastery with the Arise retreat team. Dr. Angela offers tips to introverts about how to survive a retreat and manage doubt. News about an exciting pilgrimage to Italy in April, observing March for Life, and much more! Order Choose Joy a 52-Week Devotional Journey, here. Click here for more information about the Arise retreat. Join us for a pilgrimage to Italy! Click here for details. Subscribe to the show on iTunes, here. Become a GTR "Good Friend" of the show, here. In this episode: saying goodbye and preparing for a new beginning. Honoring a dear friend of the show, Pastor Linda Isaiah in the loss of her husband, Pastor Errol Isaiah. How obituaries can teach us how to LIVE. Marking the passage of time as we embrace 2018. Sharing a new "Favorite Thing" and discovering an exciting new exercise routine. Preparing for the Arise retreat, and so much more! Order "Choose Joy: A 52-Week Devotional," here. Become a GTR "Good Friend" of the show! Become a Podbean Patron, here. Join Brooke on a journey of a lifetime to Italy! Apri, 2018. Click here for details. Bongiorno! 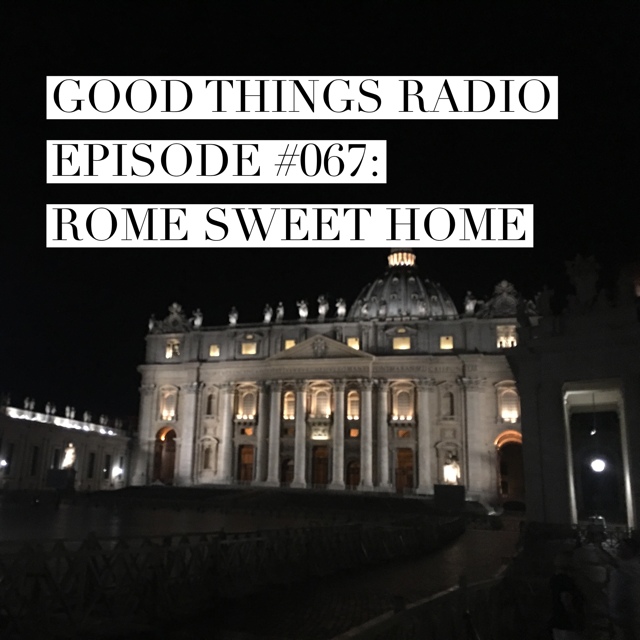 Brooke is back after a 2-week pilgrimage to Italy, with stories, adventures, and a few spiritual reflections. Seeing Pope Francis, renewing wedding vows, men in speedos, and much more! We would love to hear from you! Send us a Voxer message (BrookeTaylor1 is the profile name) or shoot us an e-mail at: feedback@goodthingsradio.com. Thank you to our Podbean patrons and to YOU for taking the time to download the show! Arise!! A Good Things Radio Women's Retreat! BECOME A PATRON OF GTR! Order: CD, Pray with me!